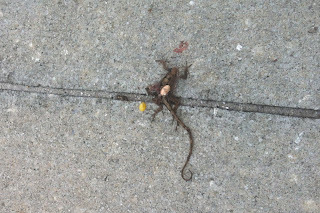 This was a lizard who lost his tail recently. It was just starting to come back. Strangely, there were not many birds at all out there today. One of my favorite critters, the giant land crab. We watched as he played chicken with a car. 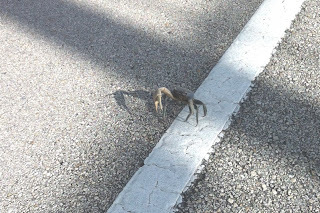 He made it across the street. This freaked me out. 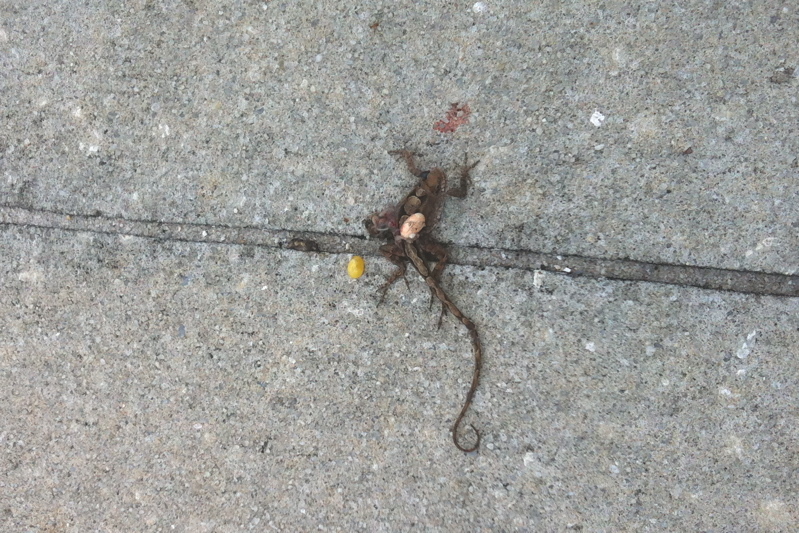 We saw this lizard who by all accounts appeared to be dead. But apparently he had just been hit by a bike or something cause when I bent over to look at him he raised his head. Really freaked me out. Felt sorry for the poor little bugger. 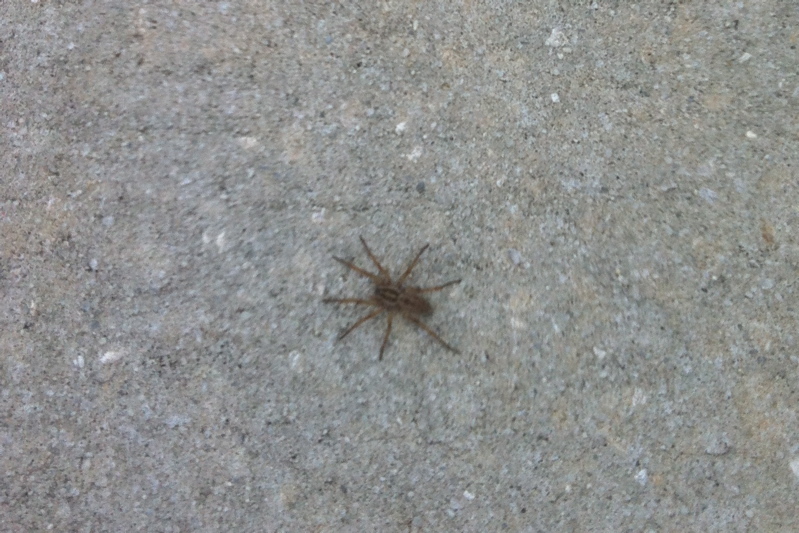 This was a wolf spider. 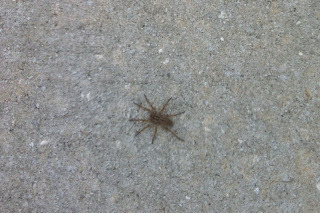 Haven't seen a lot of spiders this year, not sure why. Ok, I know what you are thinking, you are saying to yourself, EWWW if that's what you see when you are out walking, why the hell would I want to leave my couch? And the answer is, because we see both pretty and ugly things, but the important part is that we are experiencing LIFE which you will never EVER do just sitting on your couch! Be sure to join us on a walk soon, you will know what we mean.